This morning I read a lost Twin Galaxies article about the history of high profile gamer Todd Rogers. The article reveals Todd’s gaming achievements. If you are not sure what’s the big deal about this guy. This article is a good place to start. A few weeks ago, the upcoming relaunch of Mortal Kombat was announced as one of the games for EVO 2011. 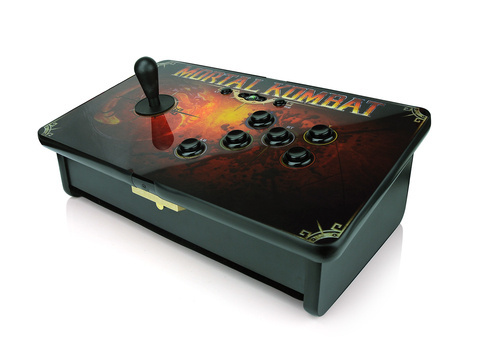 With at least one major gaming event hosting this game, some may wonder if there will be any arcade sticks that can be used for competitive MK, like how there are some for Street Fighter. The demo for Fight Night Champion is out right now. I have been hitting that thing like crazy. The new punch controls took me getting used to. I thought LB was the power modifier when it was actually RB. I like how you can just flick the right stick just to throw a hook or uppercut instead of circling and throwing the wrong punch. I also prefer the Champion animation over Round 4’s. And for those who are wondering Tyson is finally in the 90’s in the overall ratings. But he pretty much harder to get a decision with Tyson than winning one as Ali. Ali’s foot speed is crazy. I managed to get to the opposite side of the screen while fight Tyson.